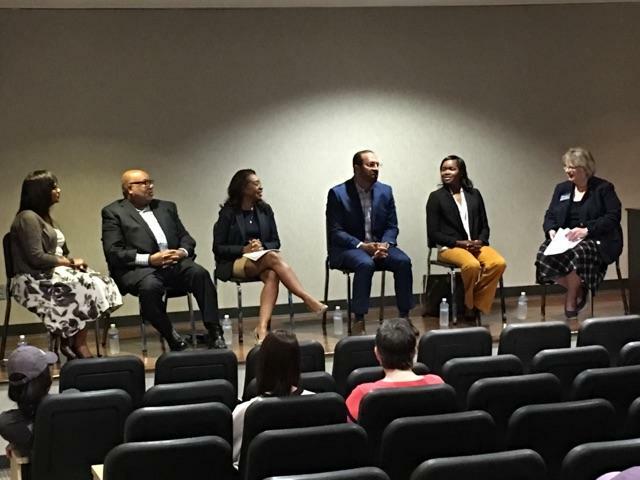 A panel of faculty-authors recently hosted a discussion for fellow faculty, staff and students on their article, “The Cultural Leadership Cohort Group Initiative: Empowered Community-Building for Faculty of Color,” published in The Journal of Interdisciplinary Education. The authors included Drs. Cheryl Slay Carr, Hope Campbell, Edgar Diaz-Cruz, Michelle Guinn, Leela Kodali, Hyangsook Lee and Bernard Turner. During the event, the team discussed their experience in collaborative writing across the disciplines and their findings on the value of the Faculty of Color Cohort Group Model. They offered recommendations for university hiring practices and for faculty members interested in leading efforts to improve and grow inclusive campuses.